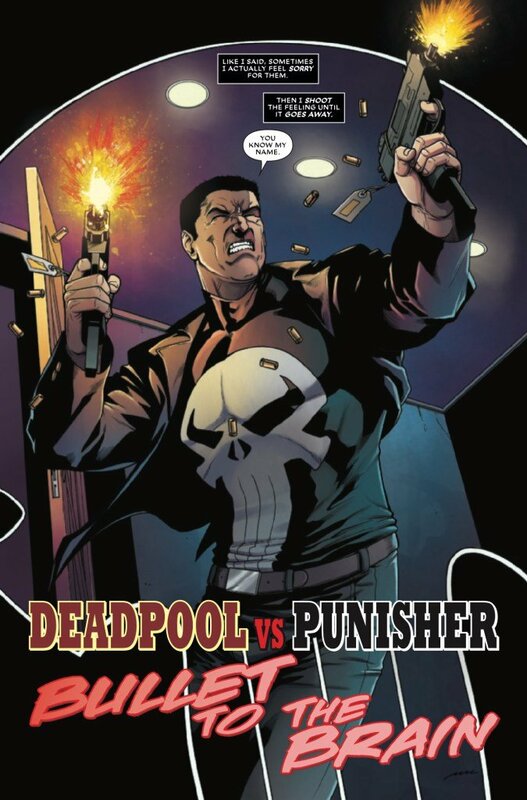 While there is some great action to be found here, the real strength of Deadpool Versus The Punisher is the surprisingly strong storyline and the fascinating and funny rivalry between its title stars. 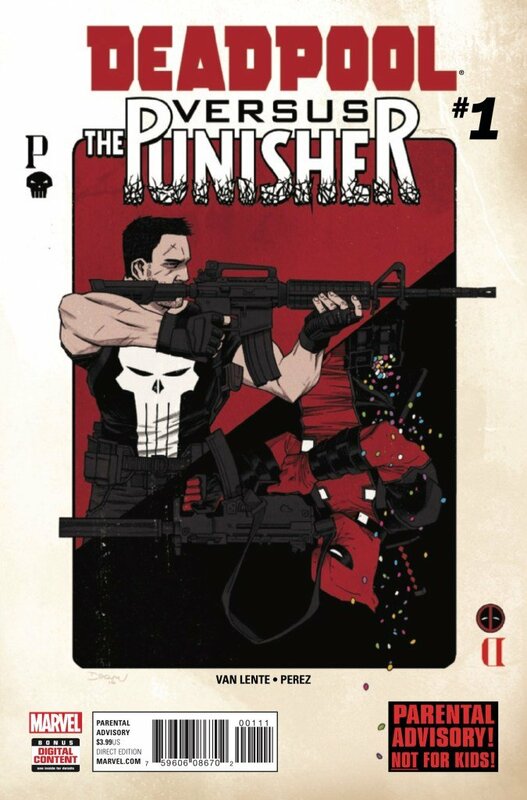 Deadpool and the Punisher make for a fascinating duo. In many ways, they’re very similar: they’re Marvel’s most ultra-violent heroes and neither are burdened by the pesky moral righteousness of the mainline Avengers. 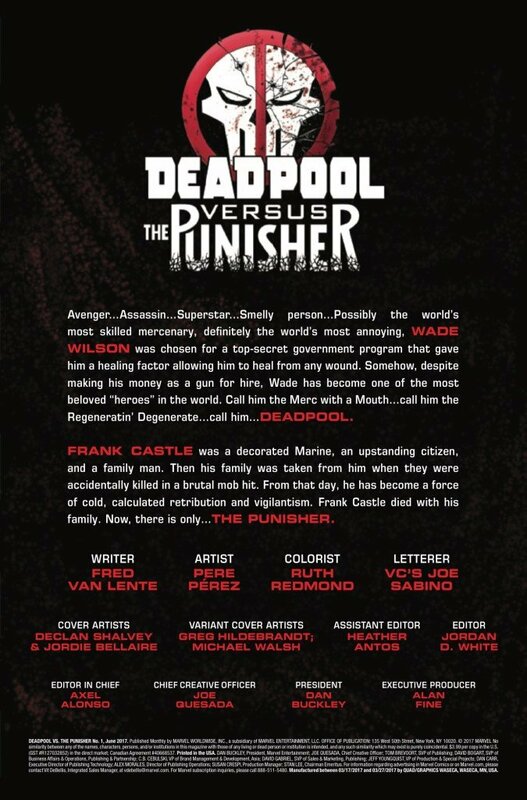 On the other hand, they have completely different personalities; Wade Wilson is an irreverent gag machine who kills for money while the super-serious Frank Castle kills as part of his personal crusade against crime. The pair are never going to be best pals, then, and in this new series the anti-heroes are coming to blows. 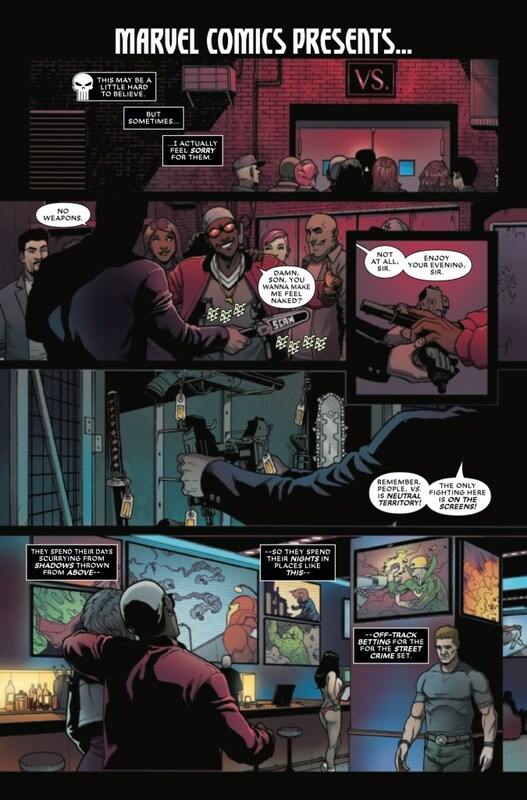 In Deadpool Versus The Punisher #1, Frank Castle’s latest target is the man known professionally as the Bank, who acts as the foremost money launderer to the world’s crime syndicates. It just so happens, though, that he’s an old chum of Wade Wilson’s and he’s not going to let the Punisher go without a fight. It’s a very strong opening issue from writer Fred La Vente as he manages to pack a lot into the page count. The first half of the issue sets up the situation with impressive efficiency so that the second half can deal with what we’re all here for: the two heroes laying into each other. So, while it is pretty action-heavy, as any comic with “versus” in the title should be, La Vente has to be commended for actually spinning a good story to hang the combat on. 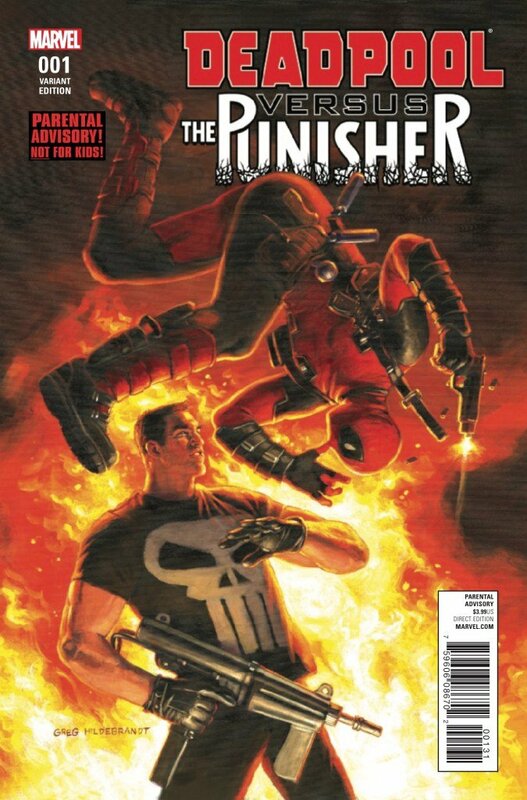 There’s a bigger conspiracy at work here, too, which will no doubt lead to Deadpool and Punisher forming an unlikely alliance down the line, if the tropes of superhero crossovers have taught us anything. Pere Perez ably brings La Vente’s work to life with some strong, clean artwork. 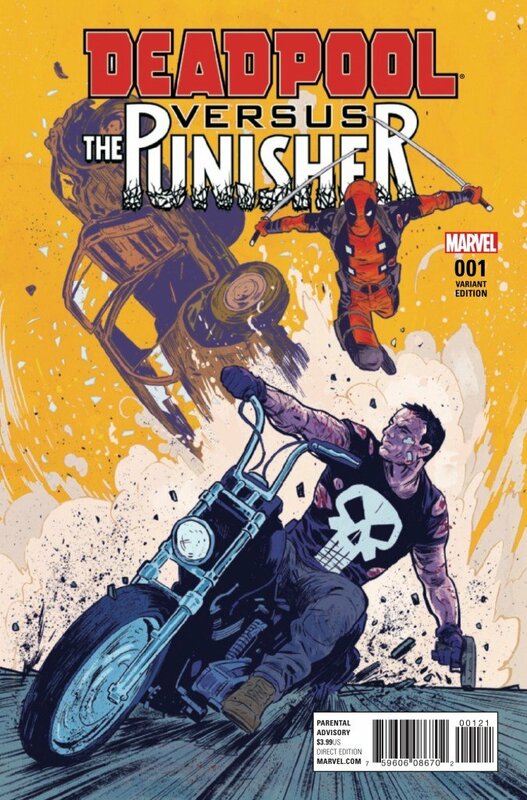 In particular, the opening passage featuring the Punisher is the highlight of the issue. 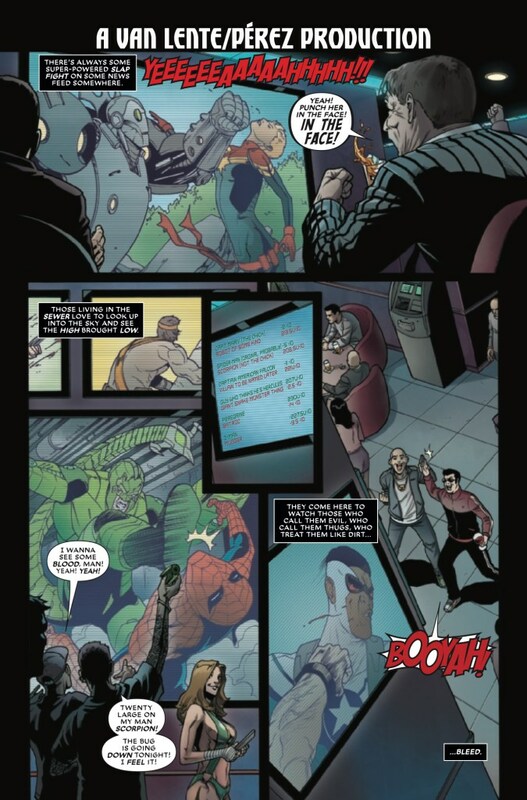 The reveal of the anti-hero is teased over the opening couple of pages, as Perez frames Castle’s massive bulk from behind until he’s revealed in all his skull-wearing glory in a poster-worthy splash page. Perez also deserves some kudos for his work on the characters’ facial expressions. Again, Frank Castle’s hardened grimace when he kills or tortures someone is a chilling reminder of how steely and unrelenting the Punisher is. Featuring a surprisingly strong storyline and a rivalry between the two central stars that should get a lot of mileage, Deadpool Versus The Punisher is a must-read for fans of Marvel’s anti-heroes. Despite lots of blood, violence and a pretty dark turn at one stage, the issue can only be described as a very fun read.